Horses and humans have been in alliance for a very long time. These strong, beautiful and majestic animals have been around for so long that they share an important space in history as well having taken important roles in political conquests and campaigns that have changed the course of history. Today, Horses are still around and even though they don’t serve for wars like before they are still used for sports and entertainment for men. Being around the man for so long it won’t be too far-fetched to say that these animals have picked up a unique character trait from humans. Most people agree that only humans and few other species have the ability to show empathy for others. Our emotions are one of those things that set us apart. But is it possible that other animals either naturally or by interacting with us have learned to show emotions as well, the horses in this story will get you thinking hard on the validity of that and otherwise? 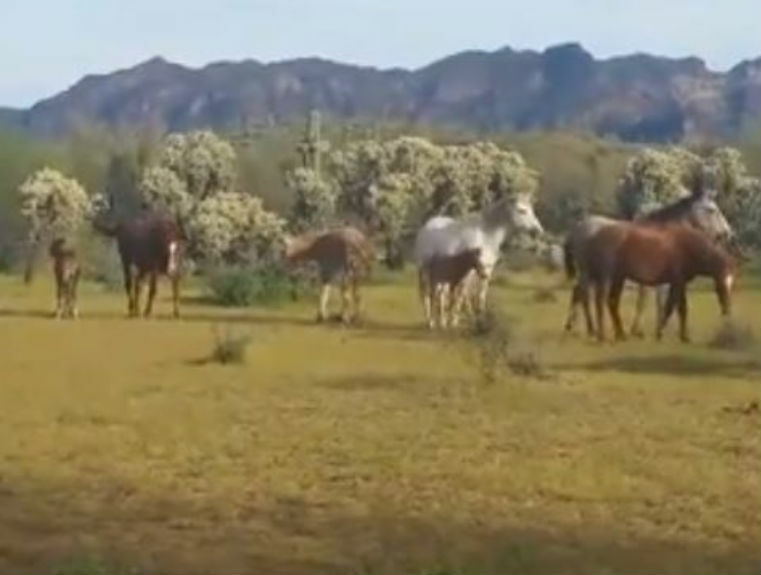 In the heartbreaking video below, a band of wild horses defied all odds and did something absolutely remarkable. Sadly, it was not an occasion for funfair or a time to prance around in the grass with the heads frolicking around as horses do. This time it was a sad gathering, one that was painful for the horses yet provided a rare glimpse into what can easily be considered impossible had it not been caught on tape. 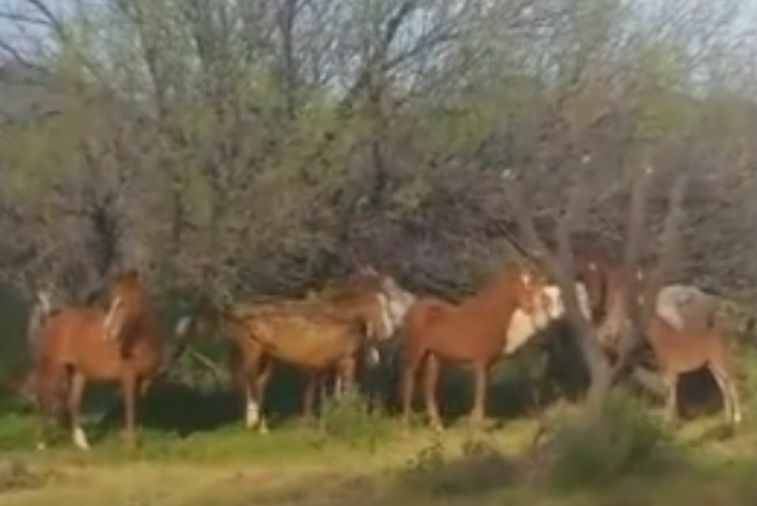 The video of the band of wild horses was captured along the Salt River. The group of animals had gathered for an incredible show of Camaraderie very few animals have ever shown. It happened that one of the mares being cared for by the had lost her life in the process of giving birth. Clydette who had been pregnant for a while suddenly entered the throes of birth. But unfortunately things went south and the mare tragically lost her life because the foal was stuck during the delivery. The Salt River Wild Horse Management Group the which is the group behind the care of these horses found out quite late what was happening. By the time they got wind and sent a team in to help, it was already late. Both the mare and the foal which they later named Tootie were lost. But in the midst of the tragedy, as the group steeped away from the body, they discovered something quite spectacular. Suddenly CLydette’s stallion who had just lost his mare, let out a cry. Soon the horses close to her in her band also came close and nuzzled her as if to nudge her to get up. the most spectacular sight came when suddenly horses form other groups appear out of nowhere and join in mourning their departed comrade. “It takes a most highly intelligent species to understand and actually mourn … These animals have evolved to have amazing survival skills and very close and protective family bonds. In this natural behavior, lies true scientific value.” One of the rescue workers commented. This tragic loss of this mare and her baby is quite painful. But it has given us some insights into how closely knit some animal communities can be. Even beyond what we might have imagined before. Watch the video below to see the emotional display of these horses. It is quite incredible.